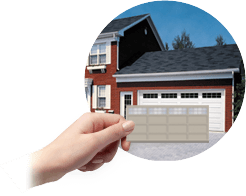 Garage door repair and service in Clarence-Rockland, ON | Huneault Portes de Garage Doors Inc.
Garage doors take a major beating every day, thanks to constant exposure to the sun. When it comes to Huneault Portes de Garage Doors Inc., we ensure our garage door customers that their doors will look good as new even after decades of sun exposure. Our skilled technicians can perform maintenance and garage door repair on all brands, making us the perfect choice for resolving any issues with your garage door. At Huneault Portes de Garage Doors Inc., our staff are garage door specialists. They have countless combined years of installation experience, guaranteeing you that your own garage door will be installed with precision and expertise. You know you’re in good hands with our specialist personnel on the job! We always provide our customers with every bit of information they need to choose a new garage door. 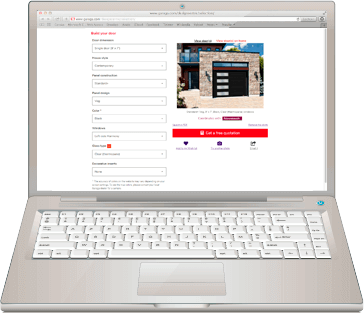 You can rely on our Design Centre to create a garage door that will mesh perfectly with the exterior of your home just with a few mouse clicks. We have countless different adjustment points, from decorative hardware and windows, the colours and dimensions of your door, and even the model of choice as well. Come and take a look today to see what awaits you! How often do you buy a garage door? Around once every 25 years is considered average. You’ve got a plethora of models, colours, and styles to choose from – so you better select a door that you can live with for the next two and a half decades. Rely on us. Our staff are garage door specialists, and you’ll get nothing but the best advice from us. We take great pride in providing our customers only the best products on the market here at Huneault Portes de Garage Doors Inc. These products need to be safe and durable as well as efficient, and that’s why we highly recommend LiftMaster garage door openers. Simply the best brand out there, LiftMaster garage door openers are equipped with the kinds of tough, strong motors that will keep your garage door shut when you want it shut and open only when you want it open – ensuring your home will be safe and secure at all times. Hearing a strange squeak or grinding noise when your door is in operation? Does one of your rollers just seem off? Call us up today. Here at Huneault Portes de Garage Doors Inc., we have only the best specialists on our staff for all your needs of maintenance and garage door repair in Rockland, ready to go and get your door back in working order. Don’t try to do it yourself when you don’t have to. Contact us if you have a problem with your garage door and you’ll get a visit from one of our best technicians in a hurry, leaving your door working properly and you with all the information you need.